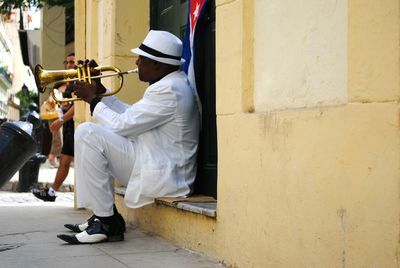 This man sat outside of our apartment in Cuba the entire week we had the opportunity to study in this culturally and historically significant country. His captivating presence was impossible not to capture on film. George, Caroline, "Cuban Musician" (2016). Study Abroad Photo Contest. 51.